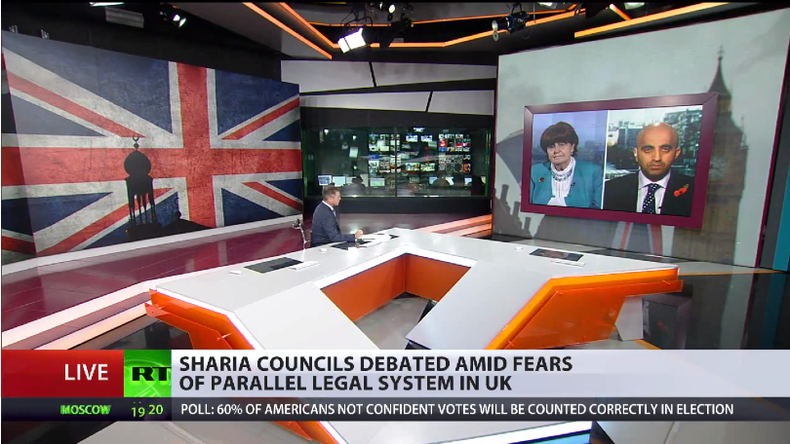 Does British law trump Sharia law when it comes to gender discrimination? 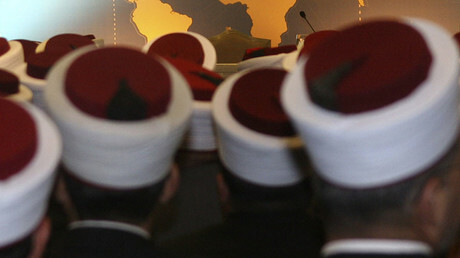 Sharia councils are a traditional way to settle family disputes and divorces within the Muslim community, but have been accused of discrimination against women. In Britain they are the subject of two inquiries as concerns grow they are blurring the lines within the UK's legal system. RT discussed the issue with Baroness Cox who raised a motion against Sharia law in the House of Lords, and Mohammed Shafiq, chief executive of the Ramadan Foundation in the UK. 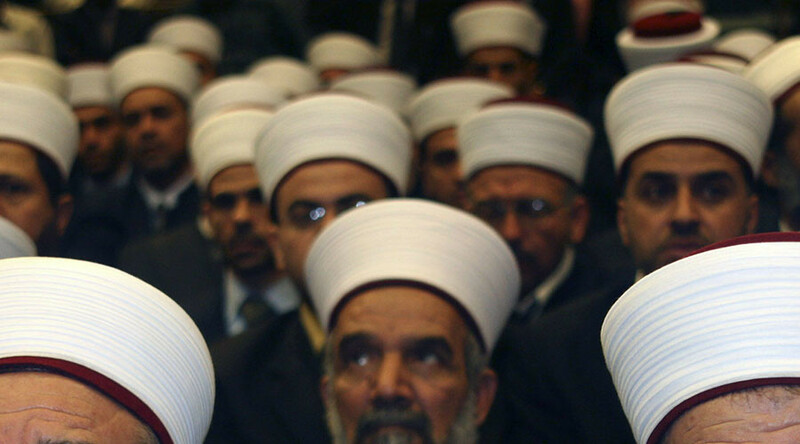 RT: In a letter by Muslim women to the Sharia Council Inquiry, they claim abolishing Sharia councils would simply drive them underground. What do you say to that? Baroness Cox: Three quick points. One is I’ve never said “close Sharia courts.” What I am concerned with is the way they operate in ways which they have gender discrimination to such an extent that many Muslim women suffer. So, Sharia courts, of course, for mediation and arbitration, but not if they are operating in ways which are incompatible with English and British laws, values, principles and policies. And there are many ways in which they are incompatible. For example, they allow polygamy, but we don’t allow bigamy in Britain. Divorce, is utterly gender discrimination. The man just says “I divorce you” three times and has it for free; women often have to pay to meet all sorts of conditions which she can’t meet. So, she is trapped in those situations. They allow domestic violence. So, there are issues with the way they operate and that is of course of concern and that is what my legislation policies are all about: How they operate with gender discrimination and how they can operate as a kind of parallel legal system as a threat to the fundamental principle of democracy of ‘one law for all’. RT: Mr. Shafiq, when Theresa May initiated an inquiry in May she said a number of women have been victims of discrimination by Sharia councils. Surely, these kinds of claims should be looked into? Mohammed Shafiq: Religion is very important for many people including Muslim women. And for you to be able to divorce you have to go through an Islamic process. And these councils are engaged in carrying out that process. And if you want to talk about maintenance, if you want to talk about custody or dividing the assets that the couple have had, then you would access the legal system in this country. What Baroness Cox is all about is Islamophobia. She is inherently somebody who has made it her mission in life to constantly attack and demonize Islam and Muslims. We live in a climate where there is a constant obsession with demonizing our faith. And the vast majority of Muslim women who access these Sharia councils are happy to have this access. Are there examples of women who have been discriminated against or have been harassed? Yes, there probably are. And we’ve got to rule that out. But the idea that Muslims cannot practice their faith in regards to inheritance, in regards to marriage is frankly absurd. Baroness Cox and her Gatestone Institute and foundation which she is a keen supporter. She is a supporter of the Henry Jackson Society, pretty right-wing fascist groups that have made it a mission to become anti-Islamic and anti-Muslim in this country and around the world. RT: Baroness Cox, what have Muslim women told you?